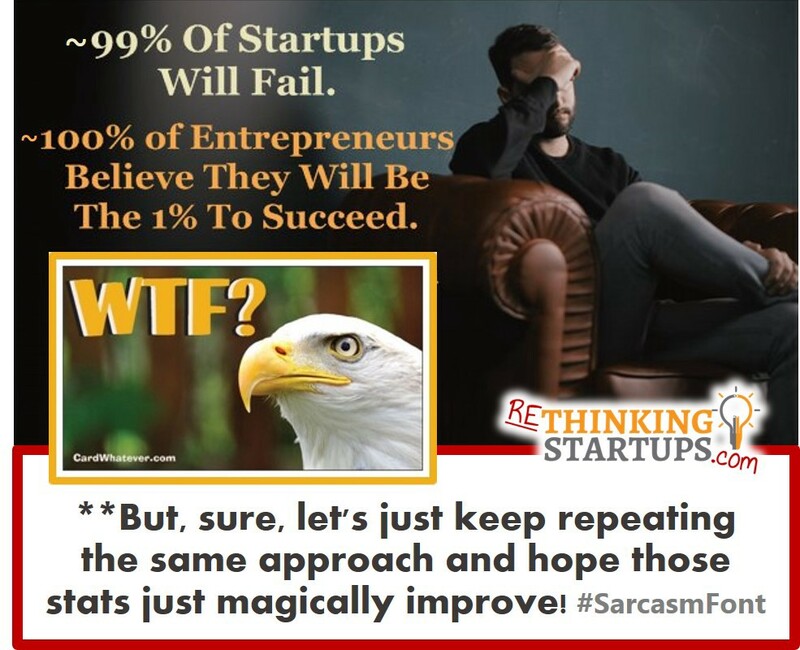 … This success/fail rate is NOT some “natural law” of entrepreneurship! — Rather, it’s Einstein’s aforementioned definition of INSANITY on full display! — And we’re doing nothing (not enough) to break the cycle! 1b) Startups will succeed loudly/publicly and will fail silently/privately — particularly Early Stage / Idea Stage. 1c) It becomes very difficult to improve a situation when most people don’t even realize the severity of the situation or just how repetitive and predictable the underlying causes are! …we could maybe try to identify some of the most Persistently Pervasive PROBLEMS and Precariously Prominent PITFALLS (#AlliterationAddiction) and maybe implement some improvement initiatives (within existing startup communities?) 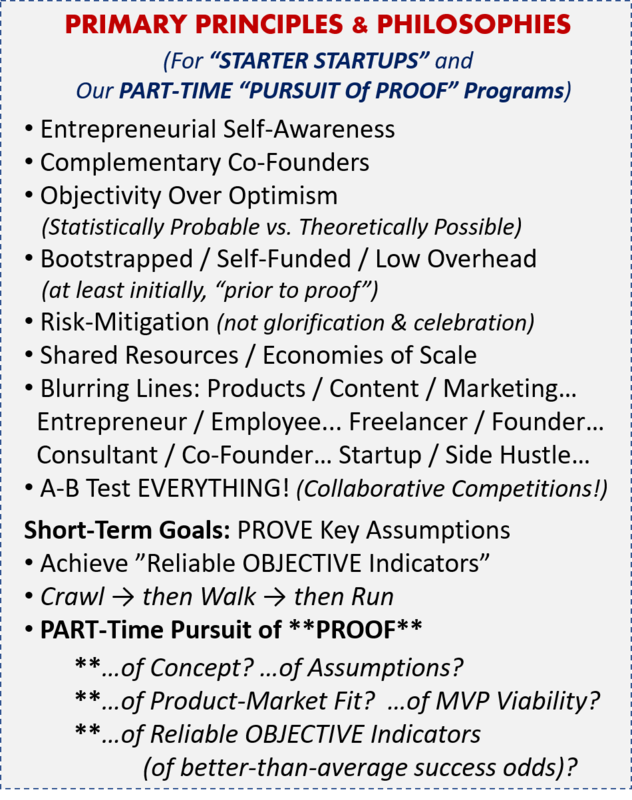 that maybe try to educate/warn aspiring entrepreneurs (the ones who are humble enough / open-minded enough to listen!) about the hazards ahead — or the proverbial piano that’s about to fall on their head — rather than just standing by and watching them walk into the inevitable disasters we‘ve seen happen countless times before…?!? If you were given a time machine and the ability to learn all those same lessons WITHOUT the failures and WITHOUT the avoidable mistakes and WITHOUT repeatedly getting knocked down — because those who had “been there, done that” were willing to guide you based on a community’s collection/analysis of enough first-hand experiences, second-hand observations, and retrospective realizations to see all the same patterns (all the same Mistakes & Missteps, all the same Problems & Pitfalls) experienced by new entrepreneurs year after year after year — Wouldn’t the vast majority of us choose to just learn all those lessons WITHOUT the failures, mistakes, knockdowns, and distress?!? Or is failure really THAT MUCH a “rite of passage” that the more experienced, most insightful members of the startup community should literally hold back our knowledge/experience/wisdom to force young entrepreneurs to learn it the hard way on their own?!? 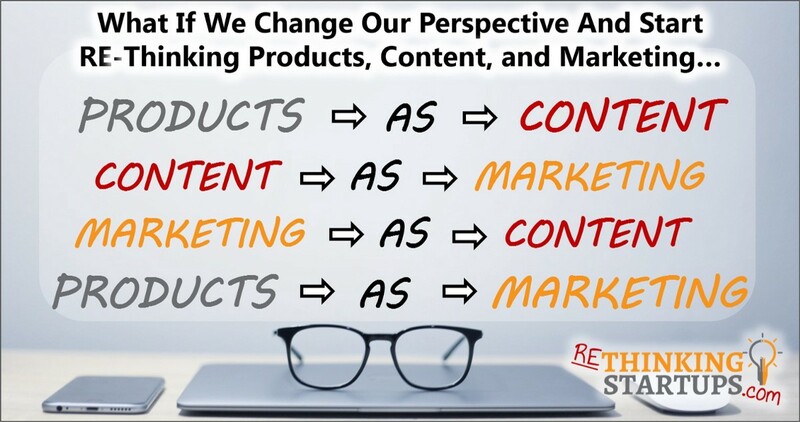 Repeating MANY of the same mistakes that we’ve seen made by countless entrepreneurs before them?!? …experienced entrepreneurs who share any of our thoughts? …young/aspiring entrepreneurs looking to learn? …and anyone/everyone in between – even those may have never even thought of themselves as an entrepreneur before! Lots of NEW *S.H.I.T. to Test! And we can discuss/debate all of the above… OR, we can just start building a network of “Starter Startups” BASED ON all the *S.H.I.T. above! Feel free to stop reading here — maybe go check out www.ReThinkingWhatever.com and submit your email address to potentially join us?? — Wow! Yes, that’s exactly right! How did you know that?!? — Wow! Yes, thats exactly right! How did you know that?! ?